I'm very excited to have Robin Bridges here today. THE GATHERING STORM has been one of my favorite books so far this year and I'm looking forward to the release of THE UNFAILING LIGHT! Please take a few minutes to learn more about this amazing author! If this were Twitter, how would you pitch The Gathering Storm in 140 characters or less? In the midst of scheming vampires and vicious fae in 1880’s Russia, Katerina of Oldenburg hides a dangerous secret: she can raise the dead. What drew you to Imperial Russia as the setting for your book? This story actually started with the setting. I’ve always loved Russian history and wanted to write a fantasy based in a Slavic-type kingdom. If Katerina were offered the choice to exchange her abilities as a necromancer for another magical gift, what would she choose? I think she’d love to be able to read George’s mind, just as he can read hers. 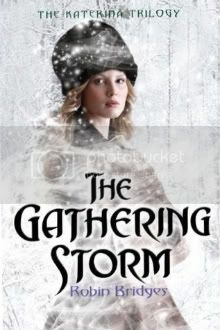 You mentioned in the author's note of The Gathering Storm that you loved Russian fairy tales - do you have a favorite that you could share with us? Another favorite, the story of Koschei the Deathless, ended up being an inspiration for the lich tsar Konstantin in the Katerina trilogy! 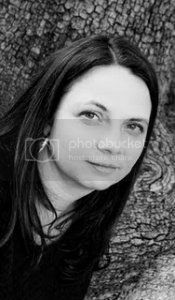 In your journey as a debut author, from first draft to publication, what surprised you the most? What has been the most rewarding experience? I think one of the most rewarding things for me has been the camaraderie between debut authors and all the online/ in-person friendships I’ve made with Elevensies/ Apocalypsies/ 2K12 classmates. And there’s nothing like the feeling you get when you receive fan mail from a reader! My first fan letter had me walking on clouds for days! If you could have dinner with any member (or members) of the Russian nobility from ages past, who would you pick and why? Miechen was notorious for her dinner parties. She and her husband Grand Duke Vladimir were thrown out of a Saint Petersburg restaurant once for getting into a fight when Miechen flirted with a stage actor. The tsar, who was not amused by their antics, sent the couple to France until the scandal died down. Can you tell us anything about The Unfailing Light? Thank you for stopping by! If you're curious about THE GATHERING STORM now (and you should be! ), see below for details of how to win a copy! Because I really enjoyed this book and think others will too, you all have the chance to win a copy of THE GATHERING STORM! To enter, please fill out the form below. This contest will close on Monday, Oct. 1 at 12:01am CST. Thank you for the interesting interview and great giveaway! I can't wait to read the Gathering Storm. It sounds really good! Don't you mean the 31st? the 13th has already past. And thank you! Great interview! I have been wanting to read The Gathering Storm, but haven't yet. I'm really looking forward to reading it!